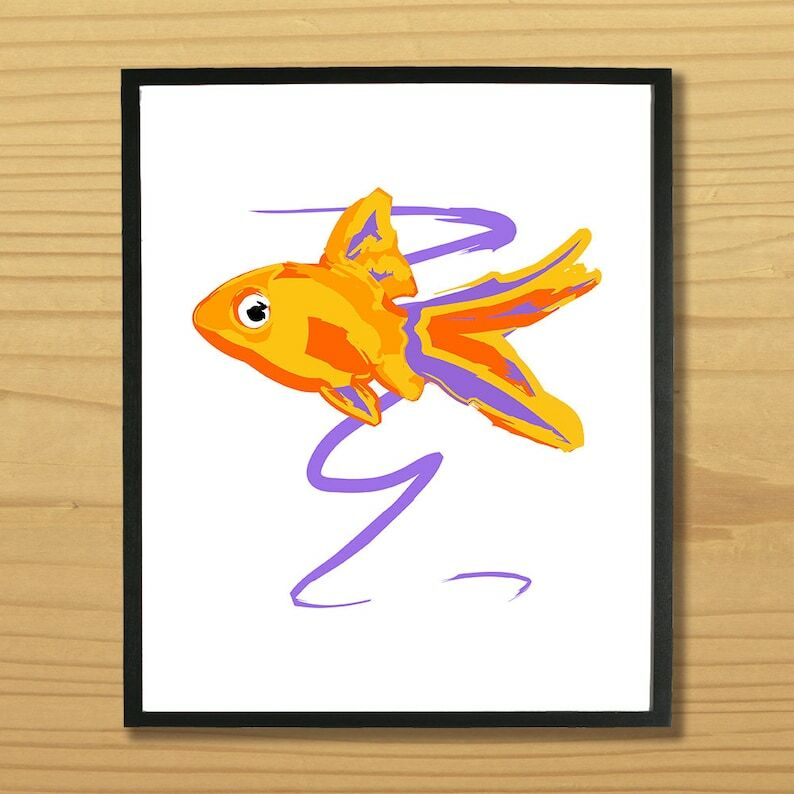 Cute Goldfish Watercolor Look Digital Print.Perfect for a child's room, kitchen or living space. Personal Use Only. 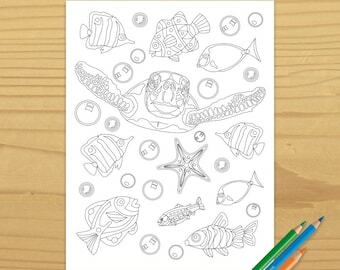 Please note this fish print is a digital product only, no physical product will be shipped. Frame and background not included. Color may vary slightly due to different monitors. Prints are for personal use only. Copyright is not transferred. All rights remain with the artist. ©Mary Ogle all rights reserved. Exactly what I wanted. Thanks. It's great. I like it very much. How do I access my digital files after purchase? There is no hard copy provided, this is a digital product only. Files are available for download in your Etsy account after purchase. Product may be used to create digital printable files (for personal or commercial use). Files must be flattened. Art must be incorporated into a new design (artwork may not be placed on plain backgrounds or be on its own, artwork must be incorporated into something else to make a unique design). Absolutely no collage sheets, digital papers, digital stickers etc or reselling as commercial use resources in any way. Artwork may be used to create printed (tangible) stationery, handmade or printed cards, brochures, flyers, business cards, printed party or stationery elements, games, jewelry, clothing, accessories, home decoration etc. Artwork may not be used "as is", it must be added to something to create a new unique design. Artwork may not be placed on a sheet by itself or in multiples of itself and sold as stickers. Artwork may be used commercially to create logo and web designs to sell if the artwork is part of a new and unique design incorporating other elements. Artwork may not be sold as the logo by itself. Artwork may be used for website/blog templates, banners, headers, footers, buttons and store front designs if it is flattened and reduced to 72 dpi. An extended license must be purchased in order to use artwork in a digital scrapbooking kit. Kits must be sold under a personal use only license. The art or patterns must be used as part of a new design and cannot be used as-is. (RedBubble, TeePublic, Zazzle, Cafe Press or any other POD): An extended license must be purchased in order to use artwork for a print on demand site. Artwork must be incorporated into a new and unique design using other elements (artwork cannot be used on a plain background or “as is”). Artwork may be converted into embroidery files, but artwork may not be redistributed with your files. Artwork may be used as a preview image if low resolution with a watermark. This license is for small business use only (under 200 copies). An extended license is required for print runs over 200 items. *YOU MAY NOT* resell as is, redistribute my original files, turn into brushes/tubes or shapes, create rubber stamps from the image, resell as clip art, offer as freebies, sell as digital collage sheets, or sell as layered templates of any kind. Please do not claim the graphics as your own, the copyright remains with me at all times.